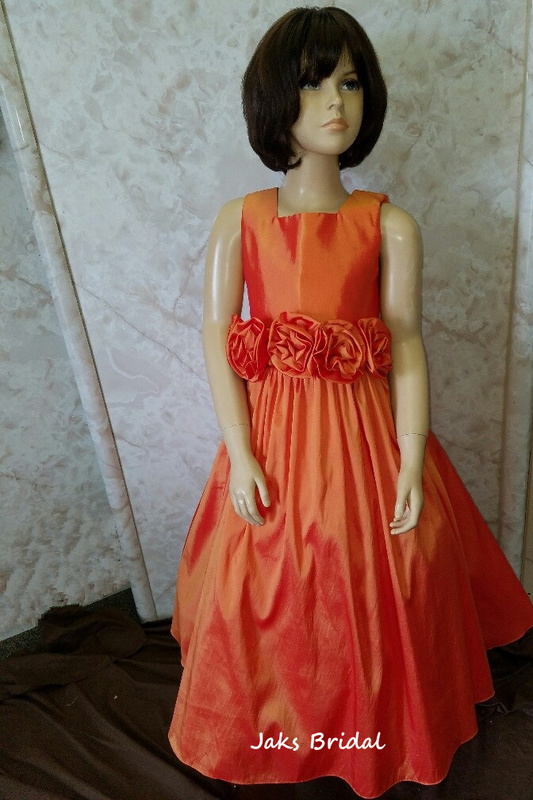 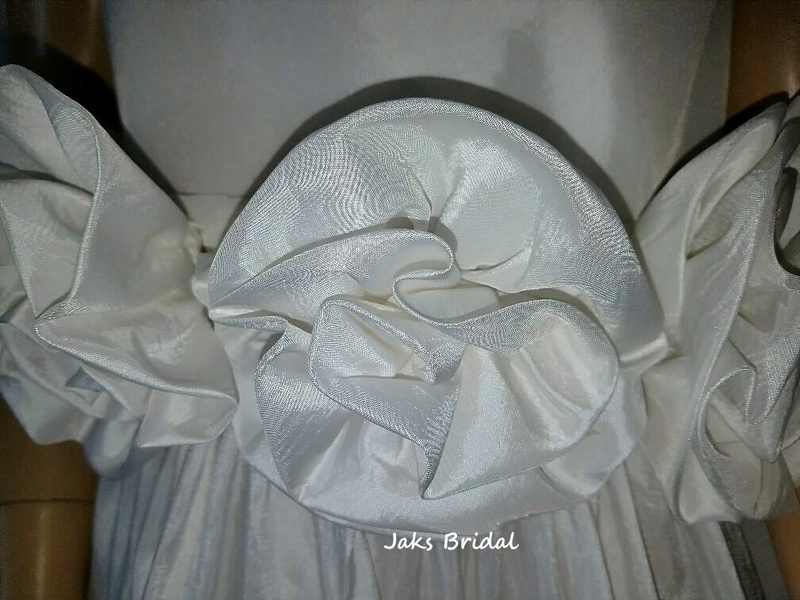 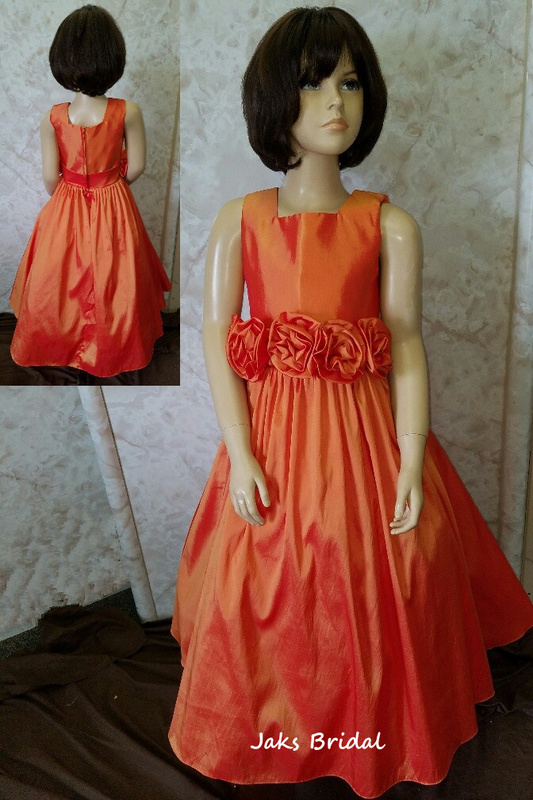 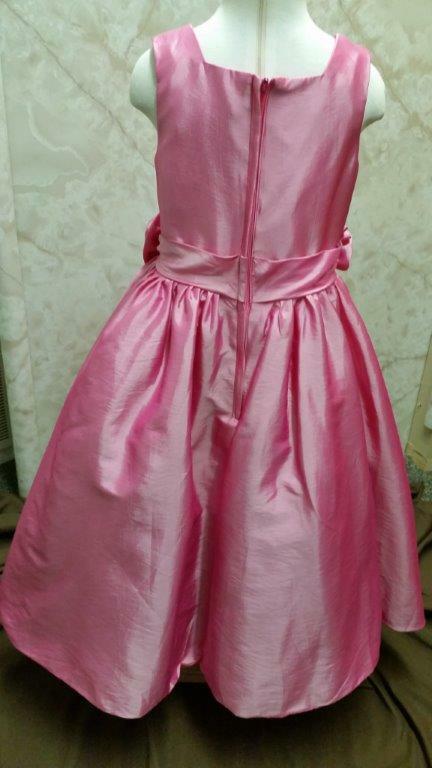 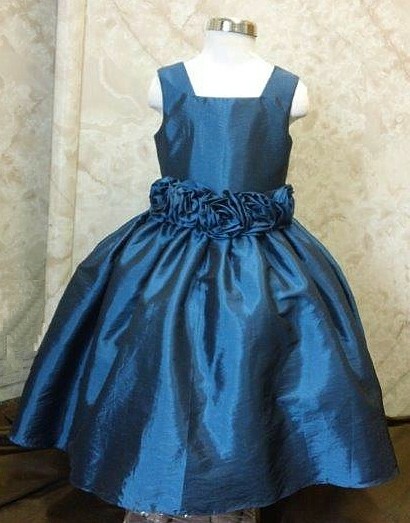 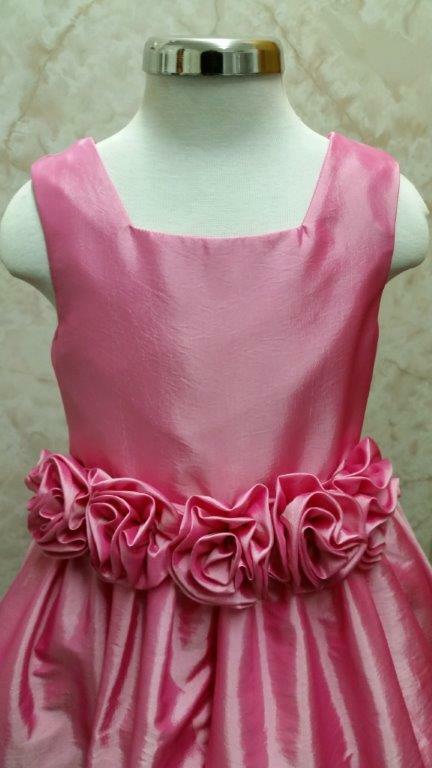 Flower Girl Dress With Rosette Waist. 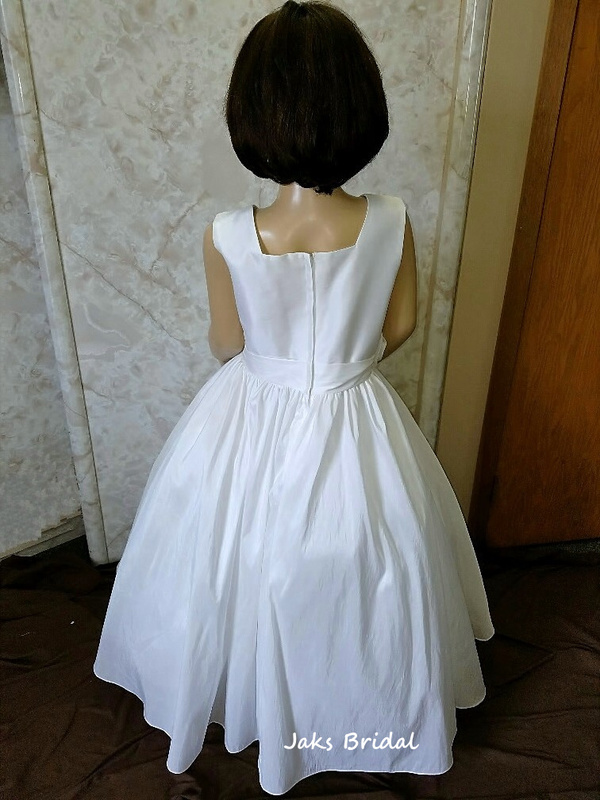 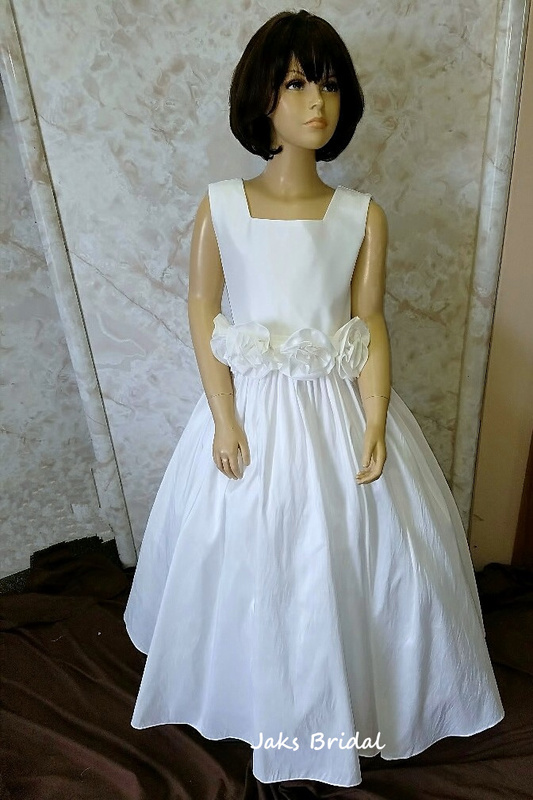 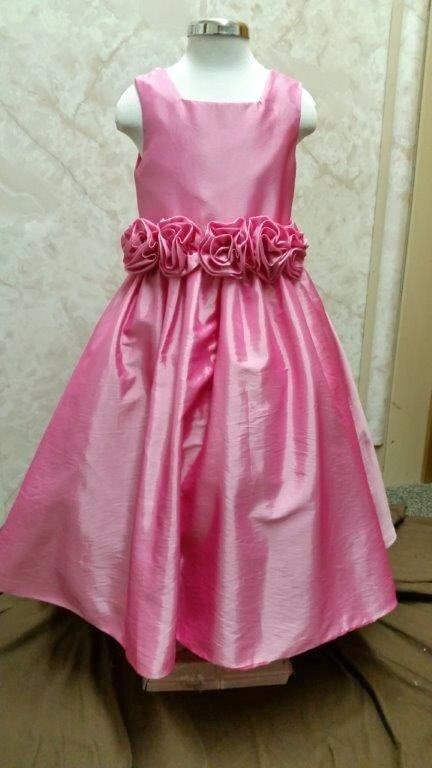 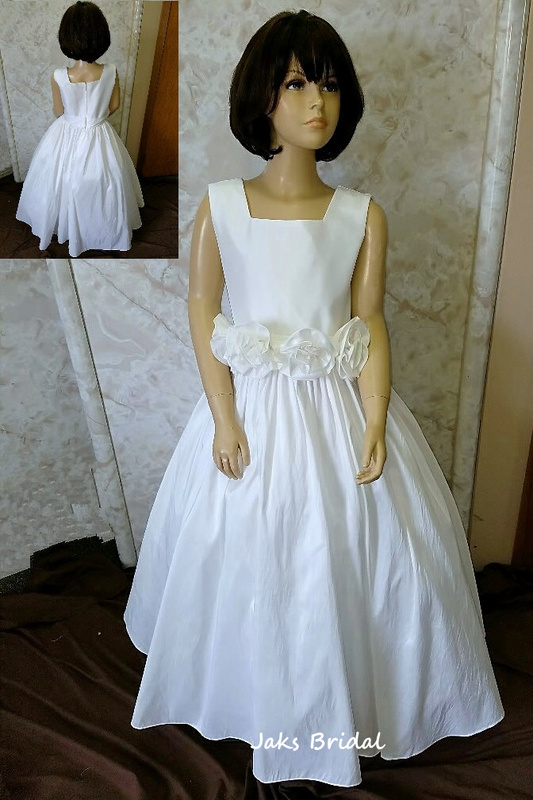 Square neck flower girl dress with rosette flower waist. 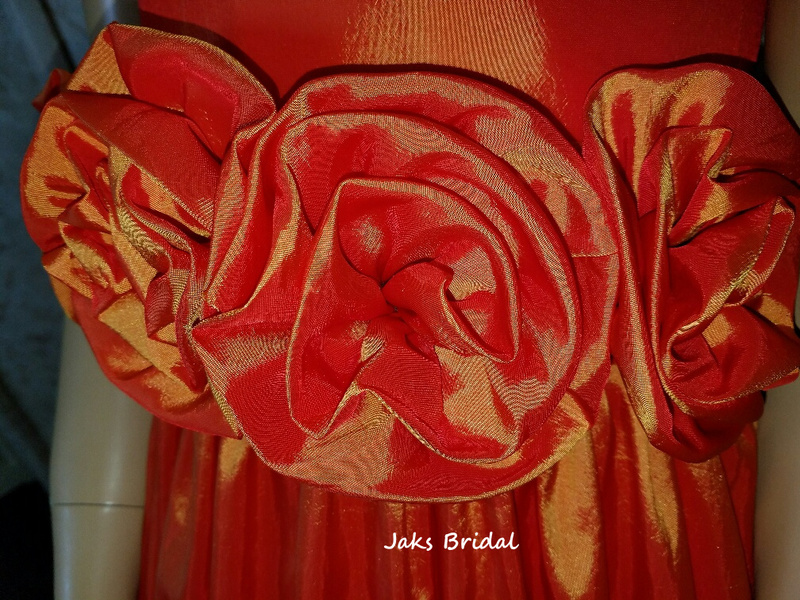 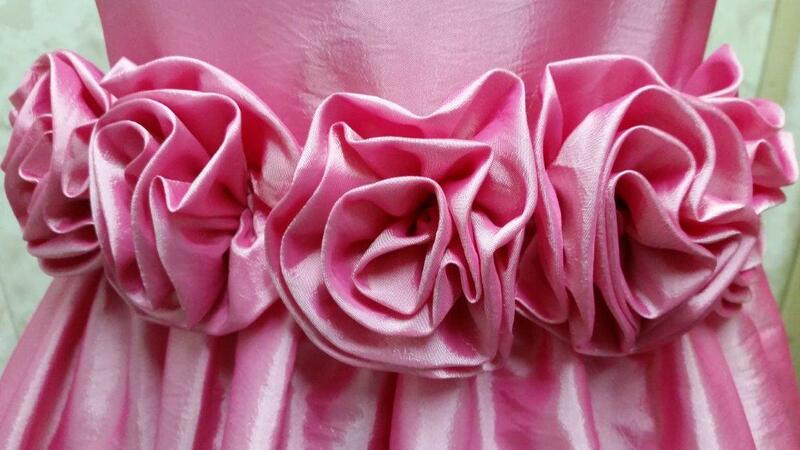 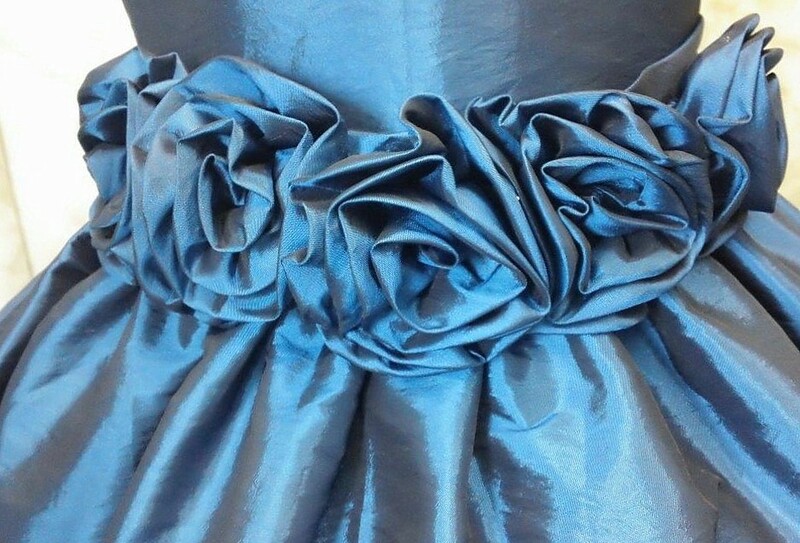 Hand Rolled Flower Rosette Dress. 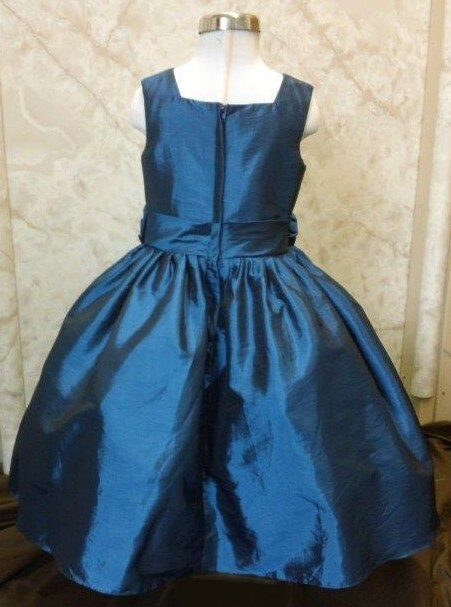 Beautiful sleeveless dress has a square neckline with 129 impressive colors to choose from.